Meet King Arithmetickle of Countalot! The kingdom of Countalot has certain laws that all children must know, such as the Commutative, Identity, Distributive, and Associative Laws. I plan to use King Arithmetickle to introduce the math laws each week. I'll talk like the king from Cinderella, point to the math memory work, and get the kiddos to hear it/say it seven times (the magic number for tutors). Easy cheesy! Well, that's my plan anyway. ;) We're still a couple of weeks away from King Arithmetickle's debut; however, I have had enormous success with using puppets for Latin, so I'm praying this puppet will go over well, too. Lucy sings the singular part, and then Larry joins in for the plural. The kids can't get enough, isn't that crazy?! The math laws seem so daunting to the little ones (okay, and to me, too! ); maybe King Arithmetickle will keep them engaged the final four weeks. I'll keep you posted! 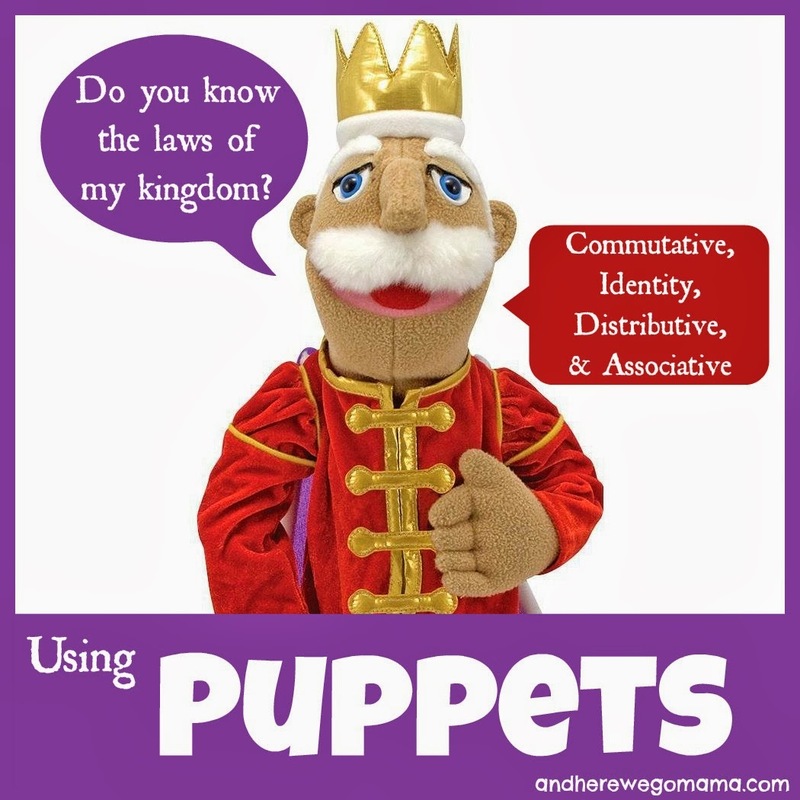 Do you use puppets in class or at home? Puppets aren't just a tutor trick; Mary loves using them to review at home, too! I'd love to hear your thoughts and tips for using puppets! Looking for some more creative ways to review memory work? Colleen at Sola Gratia Mom has an awesome post with TONS of ways to put the fun into reviewing! I picked up some great ideas from her list that I plan on using in class and at home (voice-changer!). Check it out! I used them with my younger ones. Have a bunch of finger puppets I got at Ikea for .25. they were good for the math. I have older kids this year, they don't care about puppets after 6. For the older ones use little white boards let them write out the law as they say it. They like writing on the boards.